In this episode, we're featuring a hot album from Country Charley Pride: "To All My Wonderful Fans: From Me To You" (1970). That's the long title, but the album is straight to the point. Track #1 gives you a great idea of what to expect on this release, a country-as-cornbread ode to the travelling man in "That's The Only Way Life's Been Good To Me". Pride's voice is like butter at this period in his career, and he could sing the proverbial phone book and sound sublime in doing so. 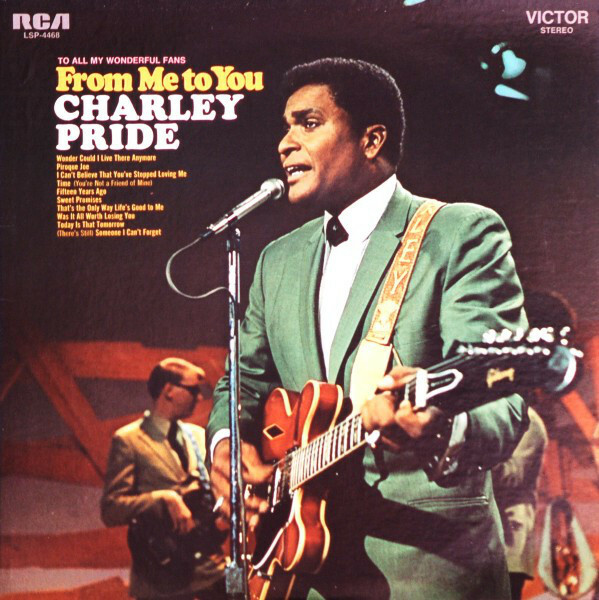 In 1970, Charley Pride was pumping out 2-3 albums a year and still selling 500,000 copies each time - a long way from the Montana smelter-worker of only a few short years prior. Production is on point with longtime producer Cowboy Jack Clement at the helm and of-note picking comes from Gene O'Neal on steel guitar on a sensational version of "Fifteen Years Ago" that Conway Twitty would surely approve of. Other highlights include the Frizzell-tinged "Today Is Not Tomorrow" and one of two chart-toppers from the album in "Wonder Could I Live There Anymore". Great stuff.